Dogs just seem to want to take a bite out of anything they think might taste good. 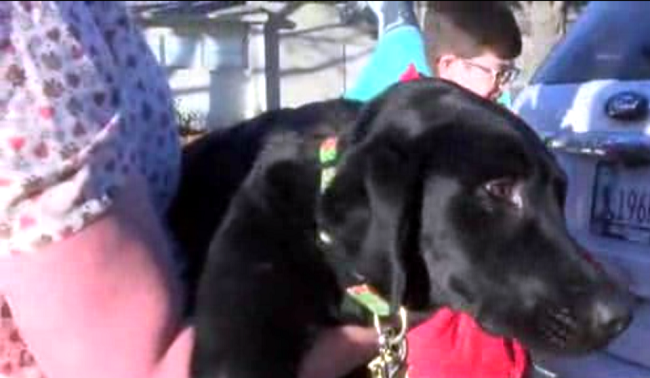 This black lab puppy named Sierra did just that. The Oklahoma pup is in the dog house after eating her owner’s $23,000 diamond engagement ring and wedding band. “I saw the dogs near the coffee table and remembered that I’d left my wedding rings sitting on the table last night,” she told KOKI-TV. “I knew that it was Sierra because she’s just a little bit of a troublemaker. She’s kind of the instigator,” Lamb said.